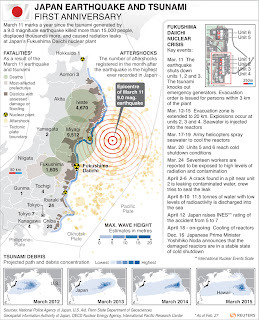 March 11th marks a year since the tsunami generated by a 9.0 magnitude earthquake killed more than 15,000 people, displaced thousands more and caused radiation leaks at Japan’s Fukushima Daiichi nuclear plant. 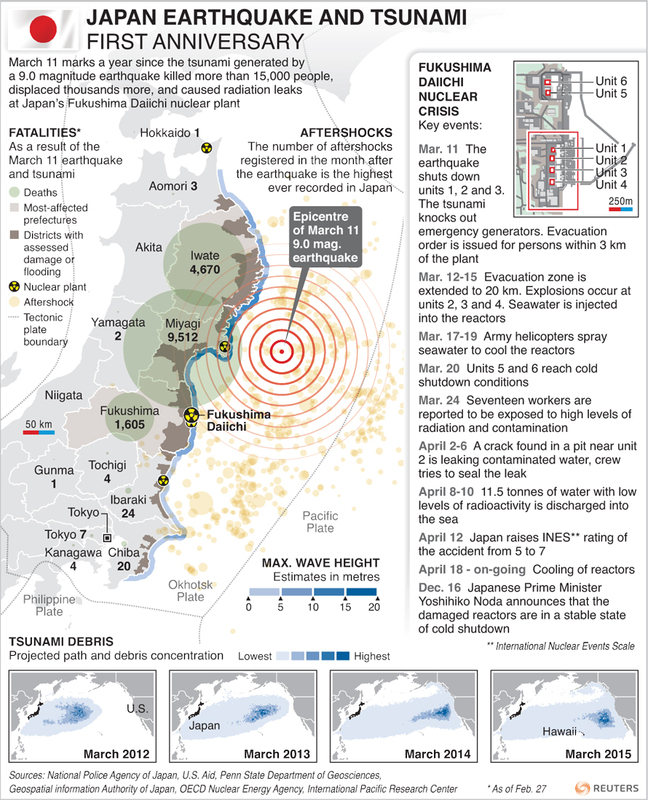 Today’s graphic lists the key events during this tragedy. It also shows the locations of the different disasters.